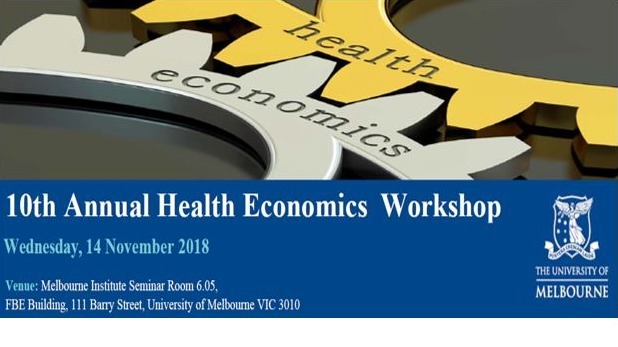 Ilias Goranitis, Josh Knight and Michelle Tew presented at the recent University of Melbourne Health Economics (UMHEG) workshop held on the 14th November 2018 hosted by the Melbourne Institute. Ilias represented the Health Economics Unit in providing an overview of the Unit’s key research areas which includes simulation modelling and risk prediction, child health and genomics. He also highlighted the Unit’s contribution in teaching and involvement in various activities. Ilias will also be part of the organising committee for next year’s UMHEG workshop. Josh presented his PhD work comparing age-alone and calculated risk methods for the estimation of CVD risk and highlighted the key cost and efficiency variables which drive change in the population program. Michelle delivered a three-minute presentation discussing the implications of incorporating future medical costs when conducting cost-effectiveness analysis in cancer populations.